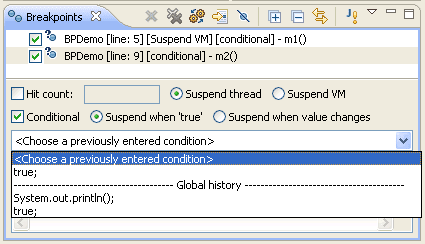 The global history shows the saved conditions across all conditional breakpoints, while the local history shows the history of one particular breakpoint. 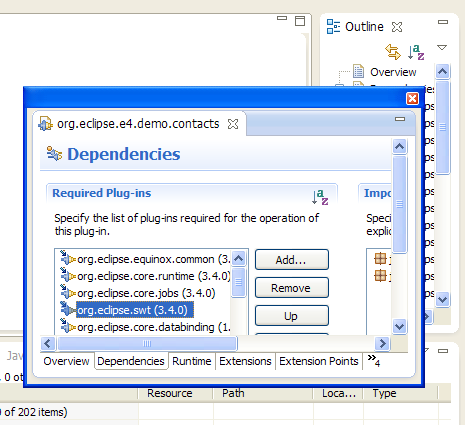 You can specify that you would not like to be notified again when trying to remove a conditional breakpoint. 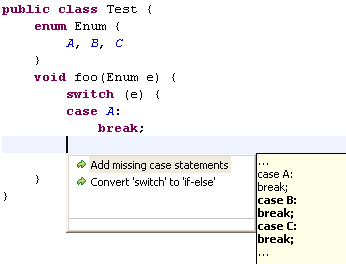 This can later be changed again via Prompt for confirmation when deleting a conditional breakpoint from editor on the Java > Debug preference page. 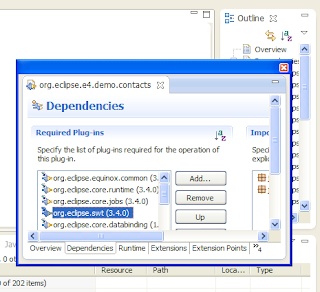 If you accidentally removed a breakpoint from the editor's vertical ruler or the Breakpoints view, you can now get it back using the standard undo functionality - Edit > Undo Delete Breakpoint (Ctrl+Z) - in the Breakpoints view or any other view that works against the global undo history. The focus types that can show inherited members are marked with a triangle. Two new compiler options have been added that mark methods which can be made static because they only refer to static members. The first option marks private and final methods than can always be made static. The second option also marks other methods. Note that methods can be overridden in a subclass, so if you make a "potentially static" method static, this may break existing clients. These options are disabled by default. 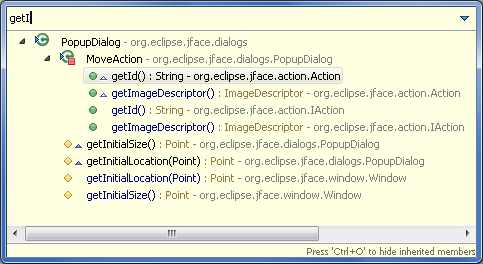 Another interesting feature in the SDK is detached editors. This can be really useful in a dual monitor setup.